A barometer is an meteorology instrument that is used to take measurements of the atmospheric pressure. This is useful for weather analysis and weather forecasting because it can be used to forecast changes in the weather (short term only). A network of weather stations with barometers led to the production of the first modern weather map in the 1800′s. There are a number of different barometers including liquid based (usually water or mercury), vacuum pump and aneroid barometers. Please read our previous answer for more information about how a barometer works. Let’s find out who invented the useful device. 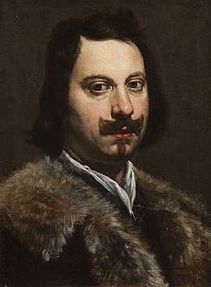 Italian scientist Evangelista Torricelli (pictured) is credited as the first person to invent the barometer. He produced his first device in 1643. Torricelli was one of the first people to propose that air had weight (at the time it was thought to be weightless). It was his investigation of his hypothesis that led to the development of the barometer. Torricelli used a glass tube of mercury which he placed upside down into a container filled with mercury. 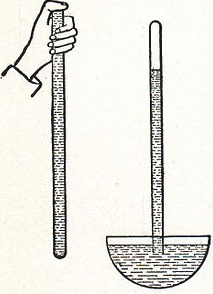 The mercury in the tube is used to “weigh” the air in the atmosphere – you can see a diagram of his invention below! Blaise Pascal and Pierre Petit improved upon this design in 1646. The first non-liquid barometer (aneroid barometer) was invented in 1844 by French physicist Lucien Vidi. This device contained a pen to record the changes in atmospheric pressure and is known as a barograph. Interestingly, the Italian astronomer Gasparo Berti may have unintentionally built a barometer between 1640 and 1643. However, Berti and his friend Galileo Galilei erroneously believed that the atmosphere was weightless! Evangelista Torricelli had to create his device in secret because of rumors in his neighborhood that he was involved in some form of witchcraft or sorcery. He was afraid that he was going to be arrested so he conducted his experiments in secret!